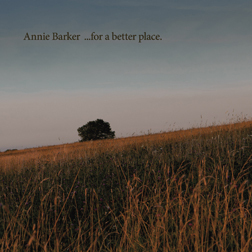 Annie Barker is a singer-songwriter from Los Angeles, currently living in the U.K. Her music is influenced by Dream Pop and Electronica and her formative vocal training included jazz and classical music. In the 2000’s, Annie sang in jazz clubs and her band played in rock clubs in Los Angeles. She recorded a jazz EP which was produced by Michael Gurley (dada and Butterfly Jones) and engineered by Scott Gordon (Alanis Morissette and Ringo Starr). In 2007, Robin Guthrie (Cocteau Twins) produced her debut album Mountains and Tumult. While it didn’t garner mass attention, it has steadily become a cult classic in the Dream Pop genre and some writers have placed her amongst the ranks of Kate Bush, Lisa Gerrard, and Chrissie Hynde. In October 2011 Annie released her follow-up EP, …for a better place., also produced by Guthrie, featuring a remix by the Danish Electronica/Ambient/Shoegaze artist Manual (aka Jonas Munk). Barker’s …for a better place. is a mini journey across the Atlantic, dealing with the hope and fears that surround a desire for change. She looks at how our decisions affect those who can’t speak for themselves and gives agency to those without a voice. After Mountains and Tumult’s more cerebral and intricately singer-songwriter styled songs, …for a better place. sees Barker fit into the Dreampop and ethereal genre seamlessly, with its rich synth and electronic production elements and smooth songwriting style.